100sareepact | Life is amazing with sisters….. These pictures are from my nephew’s mundan few years ago. 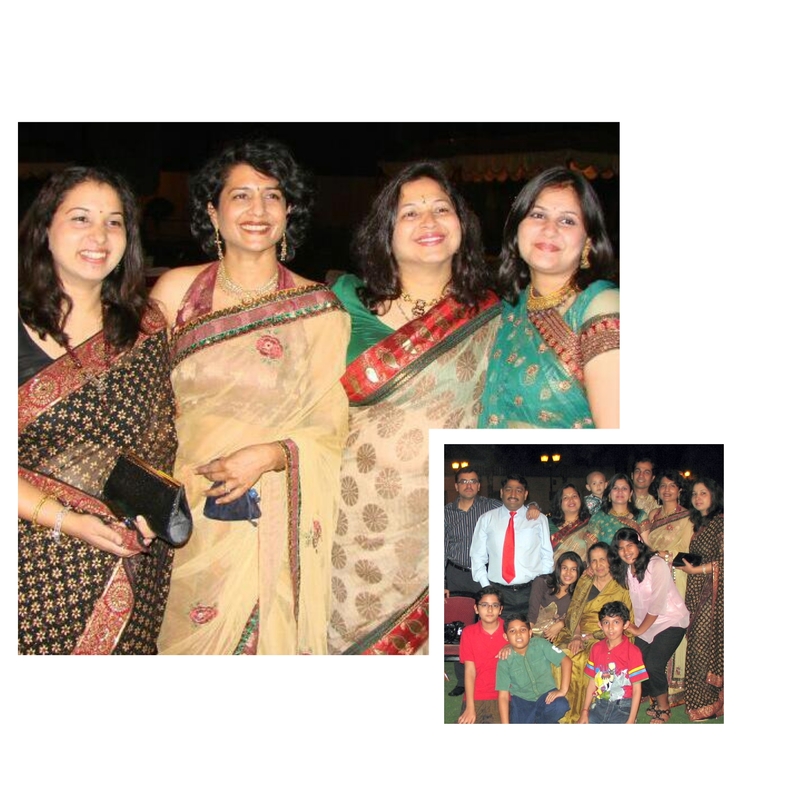 Top pic is a special one with four of us in sarees. I’m second from left flanked on either sides by my sisters. On my left is Nalini my younger sister in black georgette; elder one Alaknanda in beige chanderi is on my right. On extreme right is my pretty bhabhi Ankana in a green lahnaga saree. 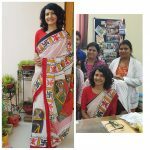 I’m wearing a half n half net and jamawar saree…..which i styled myself; sacrificing one of maa’s old jamawar saree!! In the bottom pic maa can be seen sitting on a chair, hugged on either side by her granddaughters. She is in a brown south silk which i had gifted her. Time goes but memories stay forever.